Teenage Time Killers has announced the release of a new album, Teenage Time Killers – Greatest Hits Vol. 1, in early 2015. The album features a huge group of guest artists including Dave Grohl, Corey Taylor, and Nick Oliveri. 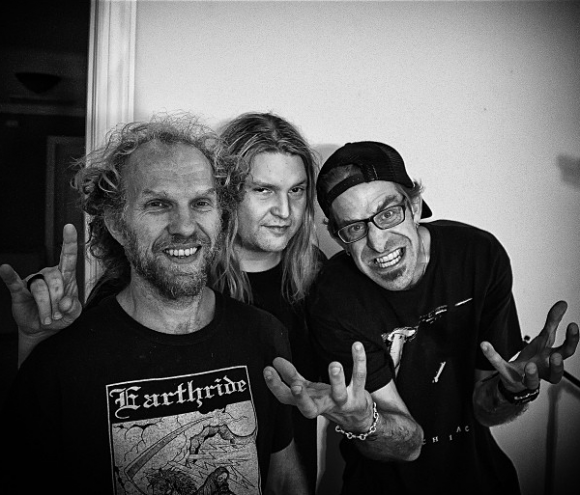 Teenage Time Killers include Reed Mullin, Mick Murphy, and John “Lou” Lousteau, members of Corrosion of Conformity. The group recently signed with Rise Records for their upcoming LP. Through the album, Teenage Time Killers – Greatest Hits Vol. 1, the group has set out to make this a supergroup collaboration of alternative, metal and punk. All the collaborators featured on the album come from some of the best known rock bands. The full list of guest artists that will be appearing on Teenage Time Killers – Greatest Hits Vol. 1 is listed below. More information about the band can be found on their official facebook page.